Due to adverse weather last weekend, our plans for commencing this year’s work were delayed until today. Armed with more equipment than ever before (nappy changing bag bulging with bottles, thermos etc) and a small heavily wrapped and grumpy baby, we made a start. My long suffering husband managed to dig over a third of the top plot whilst I tried to do small jobs wearing our baby in the sling. Sadly as it is a front sling so it made digging impossible so I kept my hard working husband company by gibbering on about what we should grow this year. 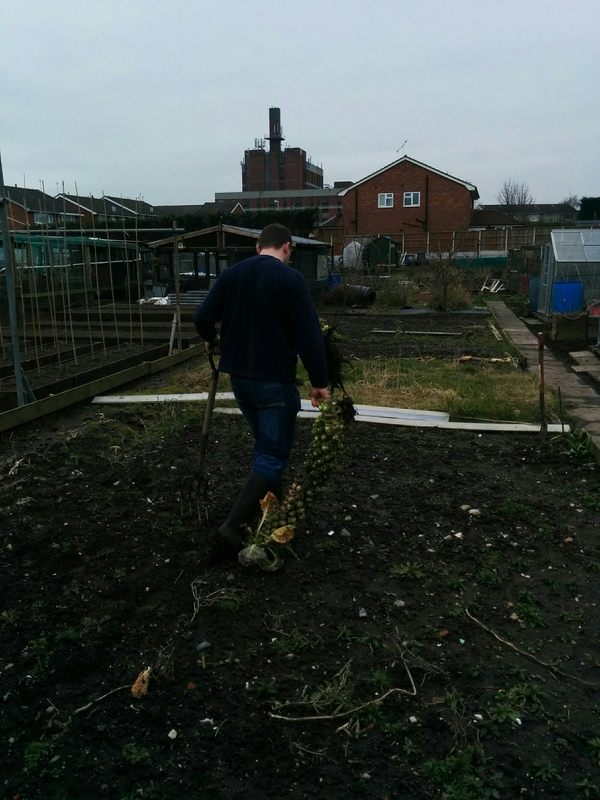 Also about how important it is to have a back sling for all the allotment work we need to do! Our chickens and quail continue to be wonderfully well thanks to the careful care of Geoff – hopefully we will be able to look after them again in the next couple of weeks once the little one settles a bit more! 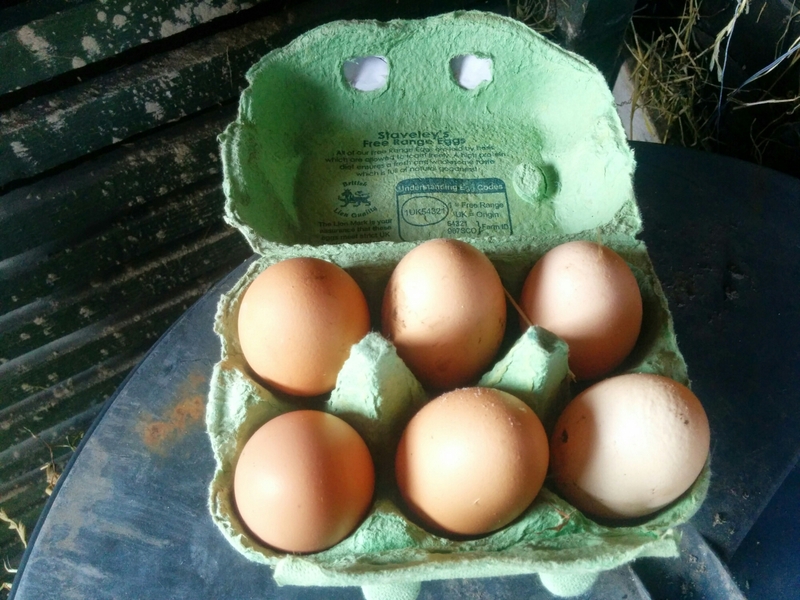 The Vorverks and Cream Legbars are fully grown and have started to produce delicious eggs. I have decided on names (finally!) – to be revealed in the next post! Next – organise the shed for the chickens! 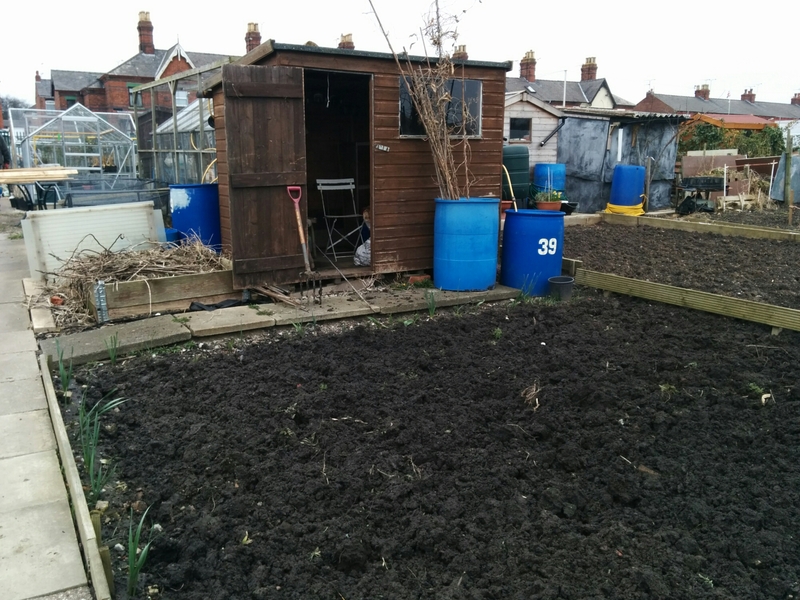 Geoff has managed to get old railway sleepers to build the base so time to get my act together to find a shed! Yes, you definitely need a back sling for gardening! Keeps them out of trouble too. Apart from if they manage to get hold of something non-edible, try to eat it and then throw up. Fortunately it was my husband’s turn with the sling that day.